Design trends are a funny thing. Something can be SO COOL and then years later, we all look back and wonder just what we were thinking. But that’s what makes it fun. My brothers David and Stephen shared a room for a while when we were growing up, and believe it or not, this nightstand looked reaaaal cool in the late 90s. Like anything, I’m sure this colorblocking furniture look will come back in style in some point, and I’ll kick myself for painting over it. Probably not though since I love painting furniture and will gladly paint it again if needed. I know if you’ve never painted furniture, it can seem intimidating, but I promise, you can do it. Especially with spray paint, it’s easy. The first time I picked up a can of spray paint, I was afraid of messing it up, but really, you can’t. You can see the top of the nightstand had some scratches. Not to worry. 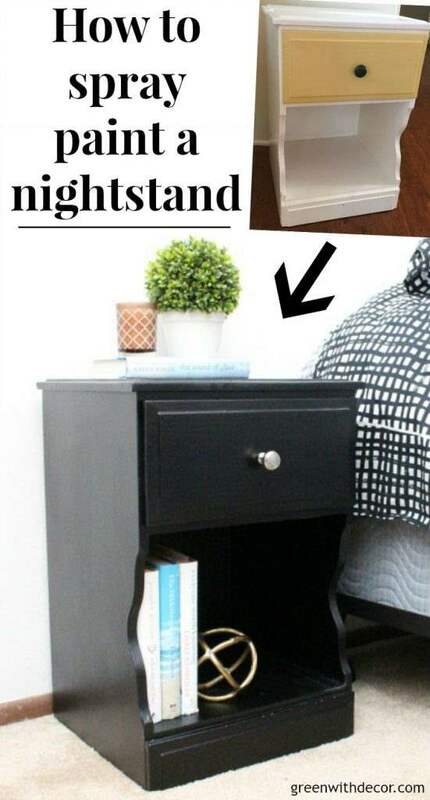 Sand your nightstand (or whatever piece of furniture you’re painting). We used these for sanding. Wipe down the nightstand with a damp paper towel and then a clean dry cloth. Take the drawer out and remove the hardware. 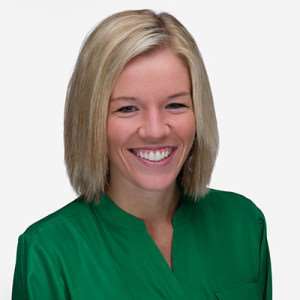 *Be sure to spray outside/in a well-ventilated area and over a drop cloth or newspapers so you don’t get paint everywhere. This is my favorite spray paint to use. Move your spray paint can back and forth, moving from the top to the bottom of the piece. Keep the paint can moving to avoid drip marks. I face drawers up when painting them so the paint is applied evenly and you don’t end up with steak or drip marks. 3. Let the paint dry and then do a second coat. 4. Screw in the new hardware. All done! Then for styling and decorating. I used to paint everything black, and I’ve really been on a white furniture painting streak lately, so it was fun to paint something black again. And even better that Stephen has a new looking nightstand for the cost of a can of spray paint and a new drawer knob. I just love giving old furniture new life. Plus if I haven’t painted anything in a while, I start to miss it. Yep, seriously. How to paint a bookshelf: Spray or paint by hand? 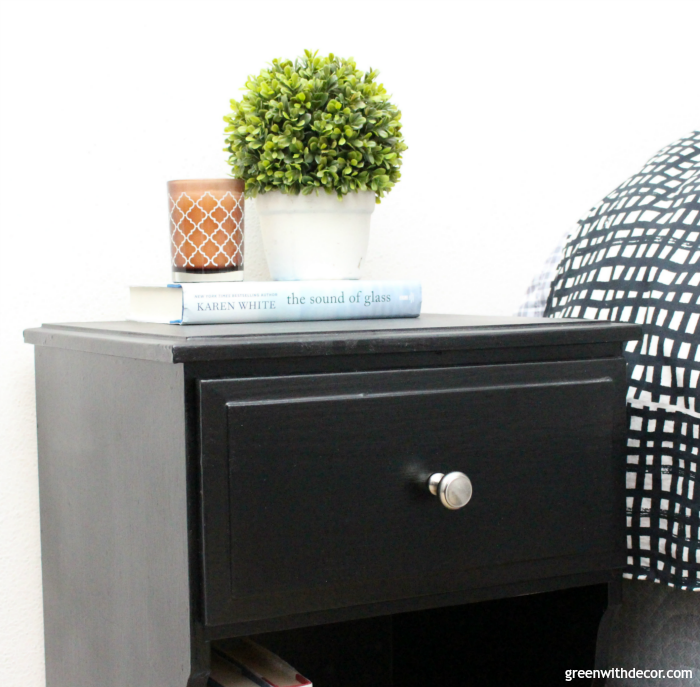 I would have NEVER thought to spray paint a night stand. It turned on SOOO well! Love it! Thanks, Lindsay! Such an easy way to update it! Wow looks great! Love that color with the rest of your bedroom.